The car dealership-focused London Motor Show is open to the public over the weekend of Friday 6 to Sunday 8 May 2016, reports Motor Trader. The event in the Battersea Park Evolution Centre in South London will see some of the UK’s best-known car dealership groups and franchises meet with more 30,000 car buying customers over three days. 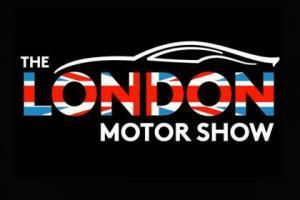 The London Motor Show is being brought to the public in association with The Telegraph, Auto Express, and Motor Trader. With the car dealership sector booming, they may be thinking of adding more stock to their showrooms to meet the increased demand. As part of this process, car dealerships should ensure they regularly update their motor trade insurance and road risks insurance policies, so that they provide the appropriate levels of cover. Several big name car dealers will be exhibiting at the weekend-long event, including Vertu Motors, Lookers, Jardine Motors, Synter and many, many more. In addition, there will be more than 40 car brands showing off around 130 new models, including UK debuts for UK debuts for the McLaren Automotive 570GT, the MG GS and the Infiniti Q60. After the London Motor Show was officially opened by His Royal Highness Prince Michael of Kent on Thursday 5 May, Tony Dean, the sales manager of Sytner BMW and Mini Canary Wharf, said: “The atmosphere here is fantastic there has been a lot of interest from the press around the cars.